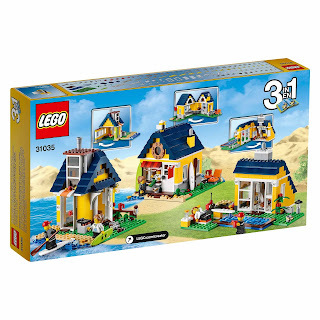 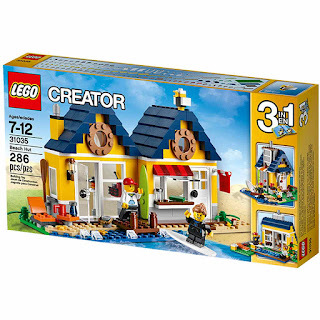 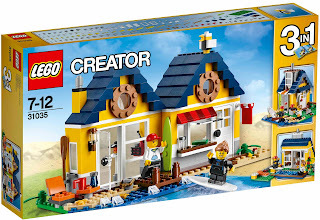 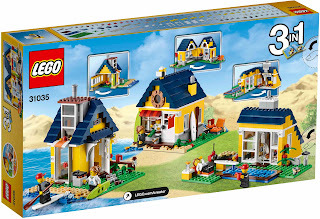 can be built into a beach hut, a summer shack with an outdoor swimming pool and a summer cottage by the sea. 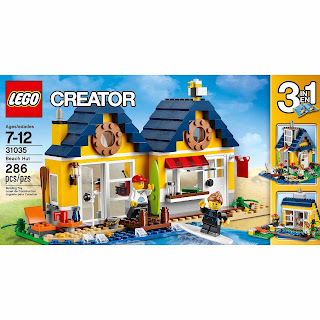 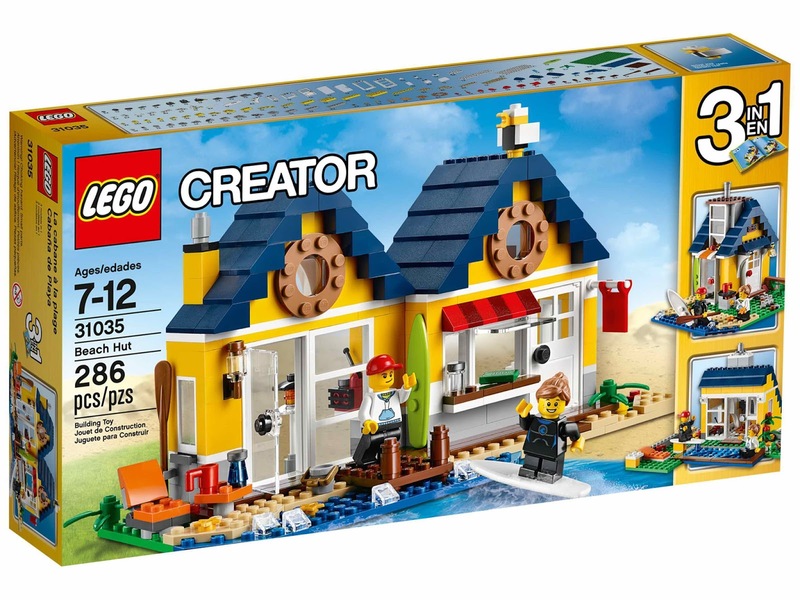 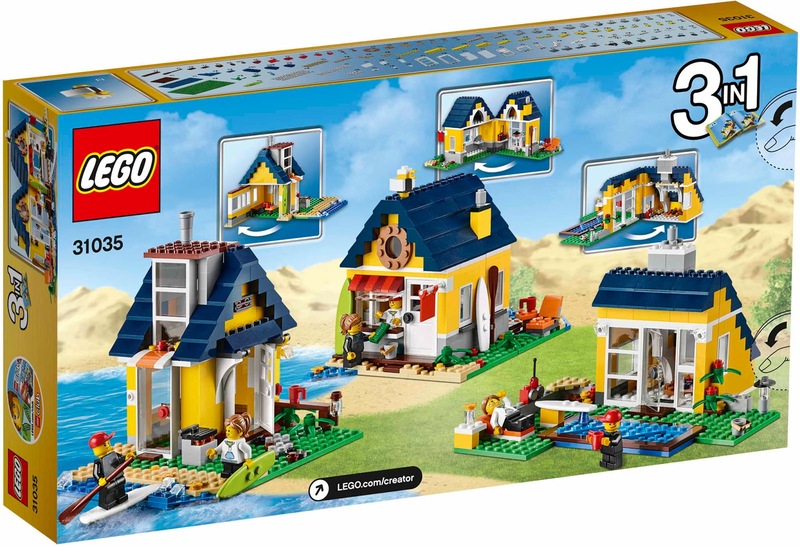 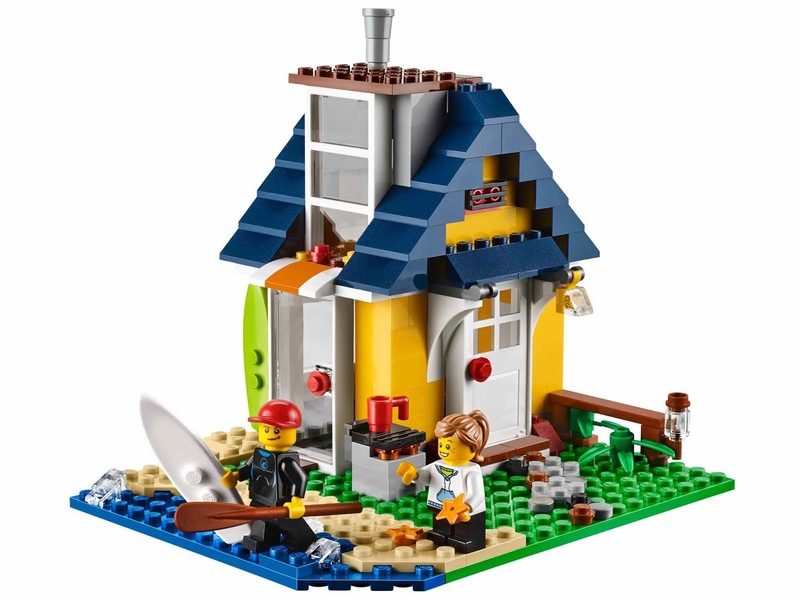 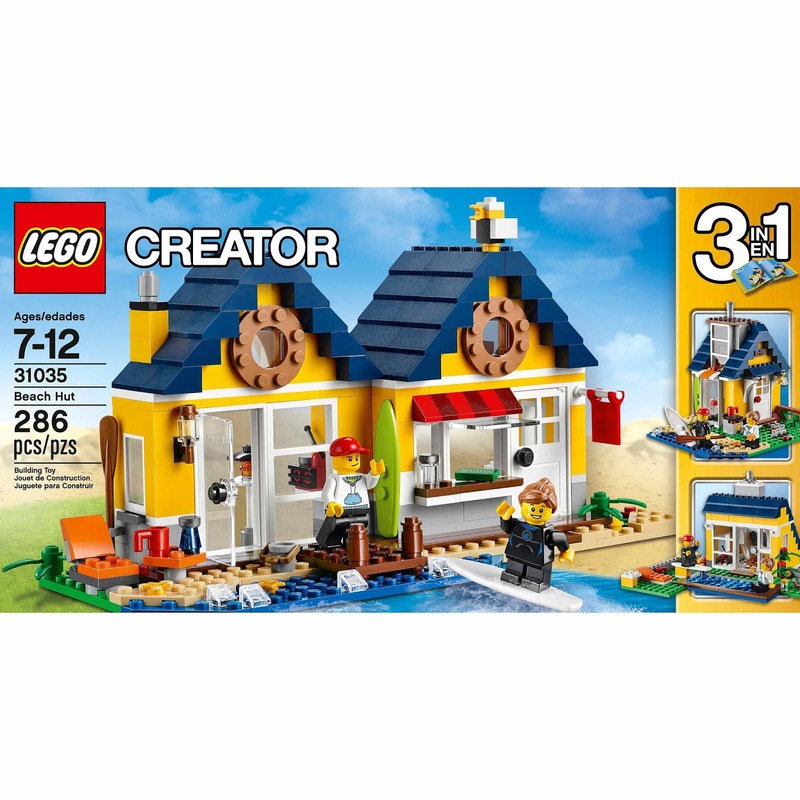 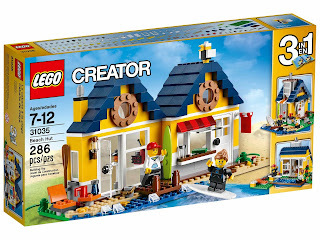 the hut has a cash register, a floor lamp, a radio, bottled beverages, a pier, a bucket, a starfish, blue sea, tan sand, green grass, a brown decking, a seat and a table. 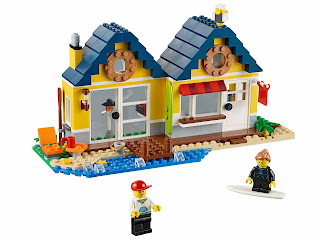 minifigs included a male minifig and a girl surfer minifig. 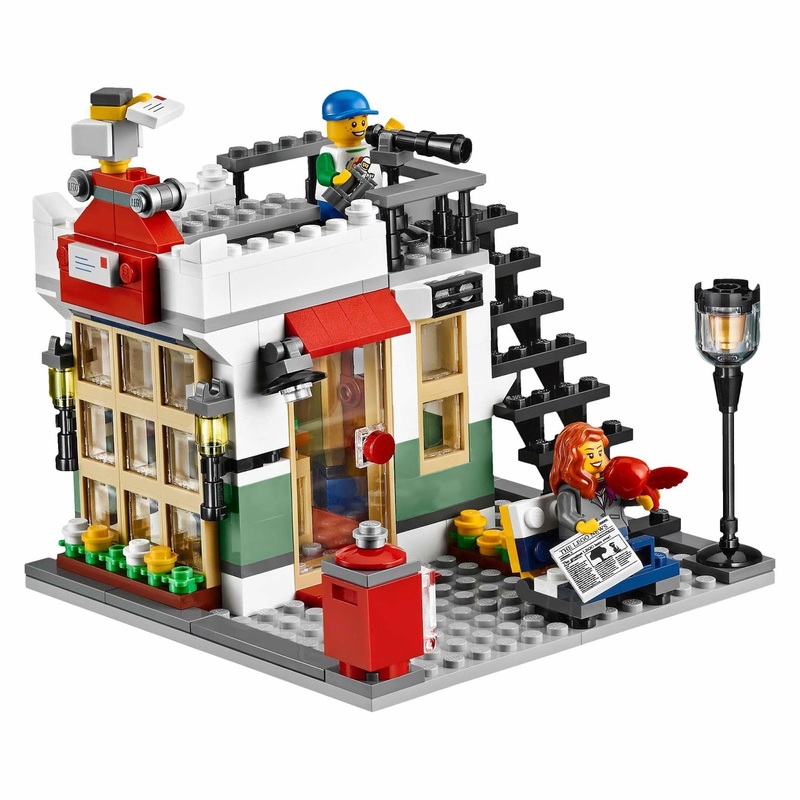 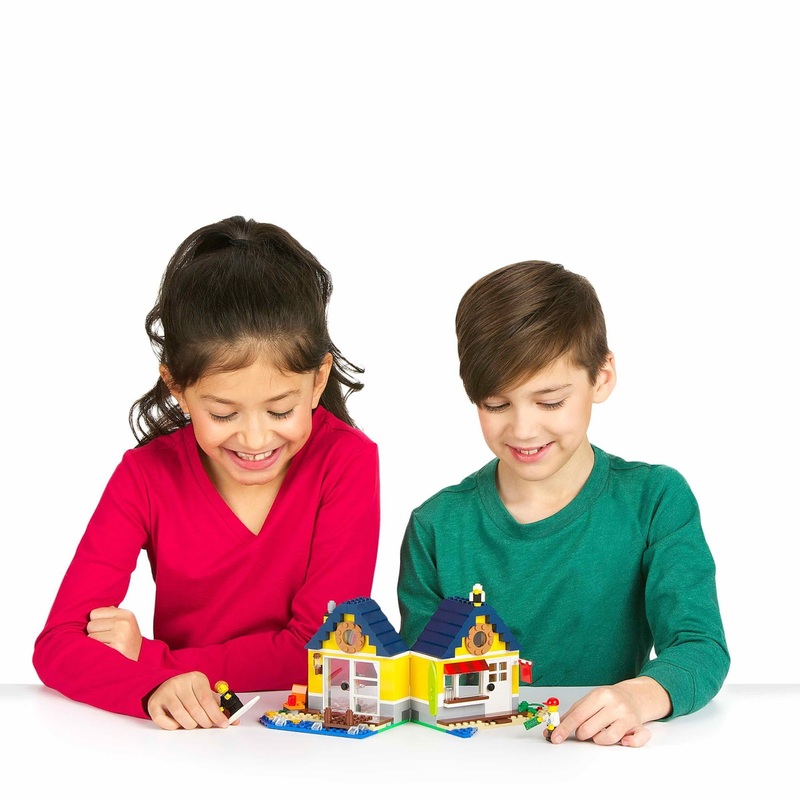 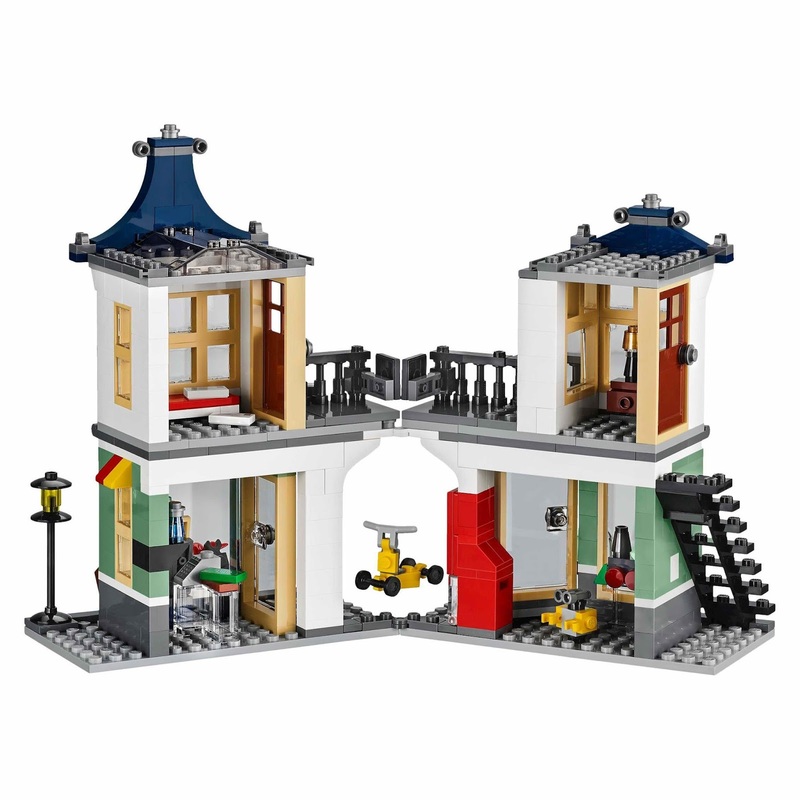 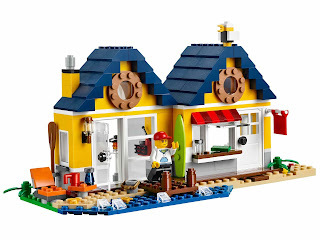 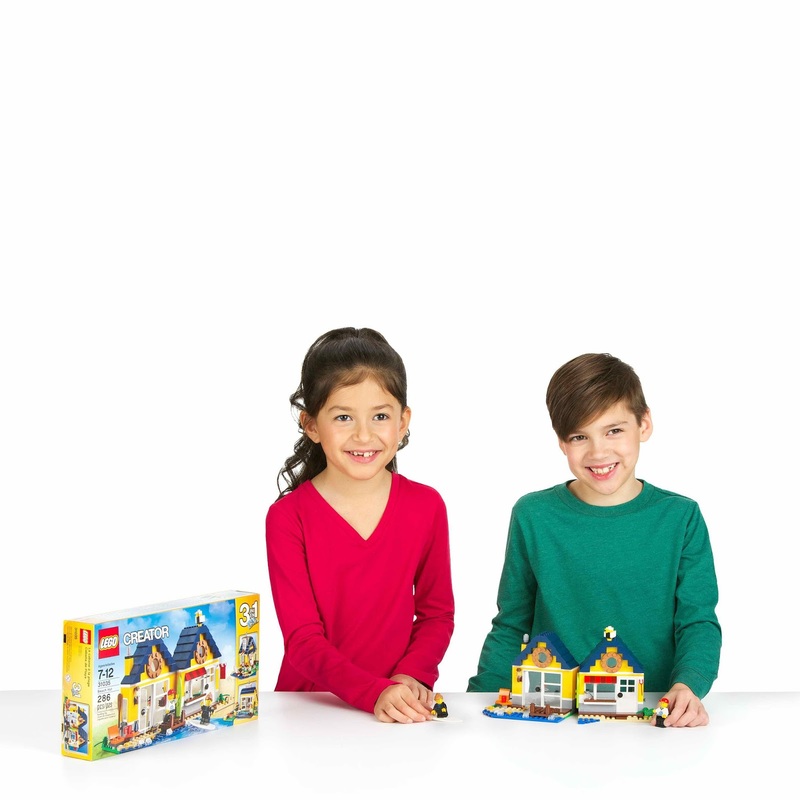 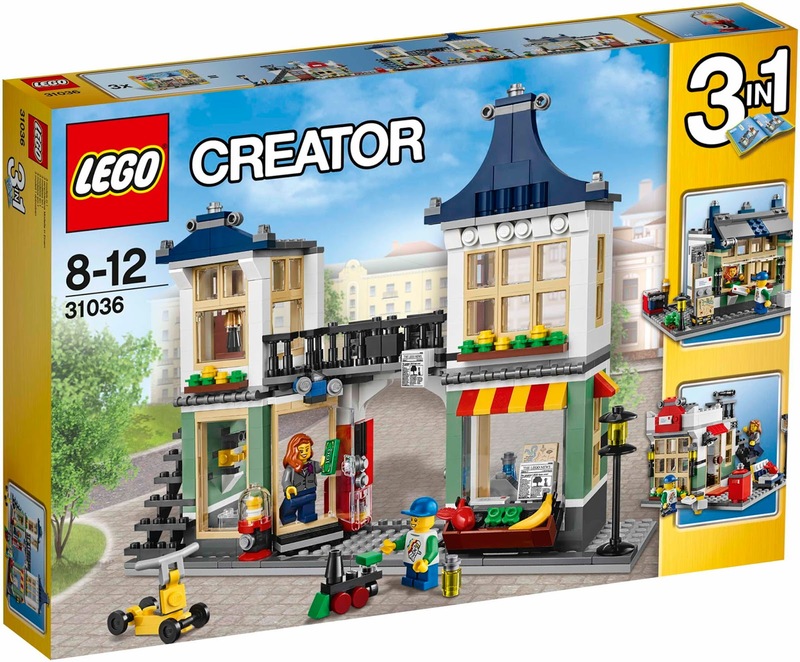 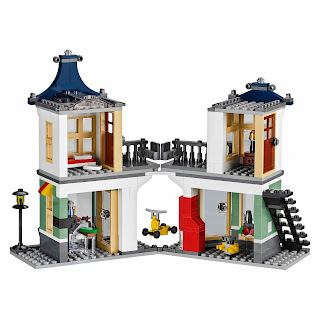 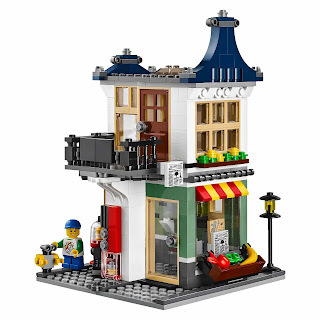 can be built into a toy & grocery shop, a post office and a newsstand. 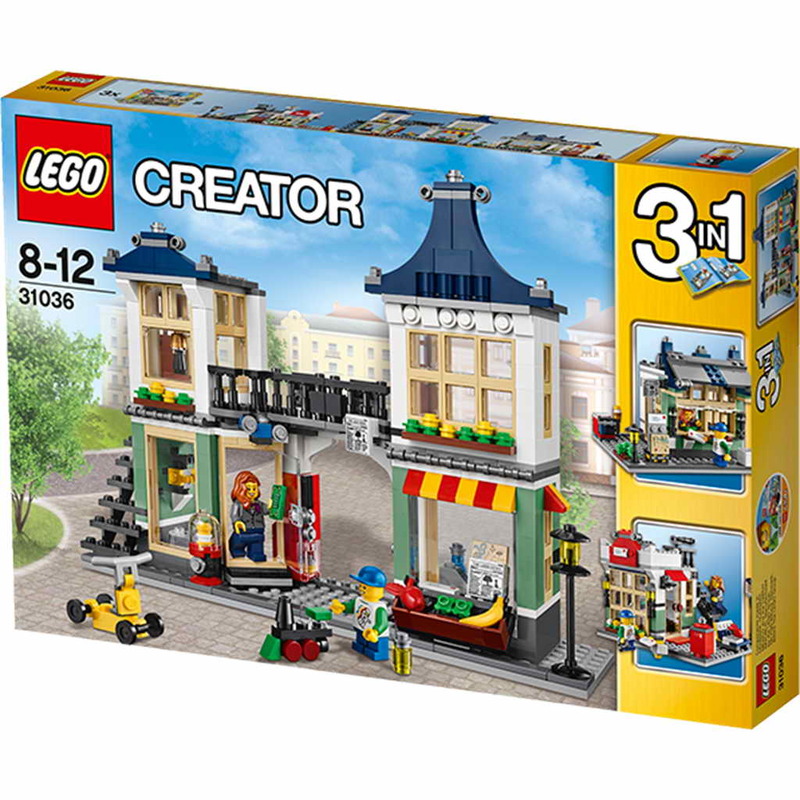 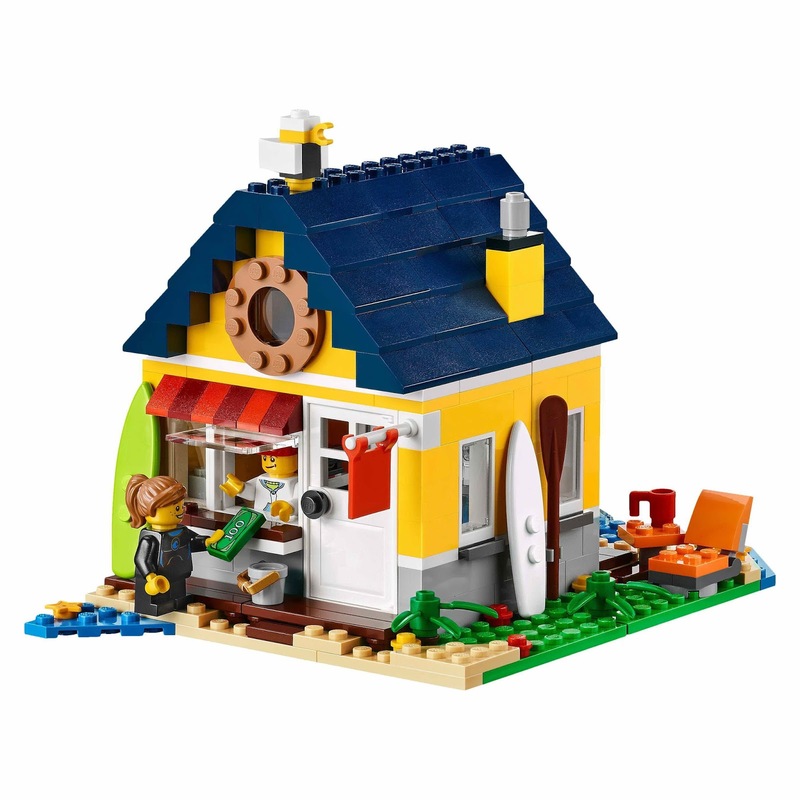 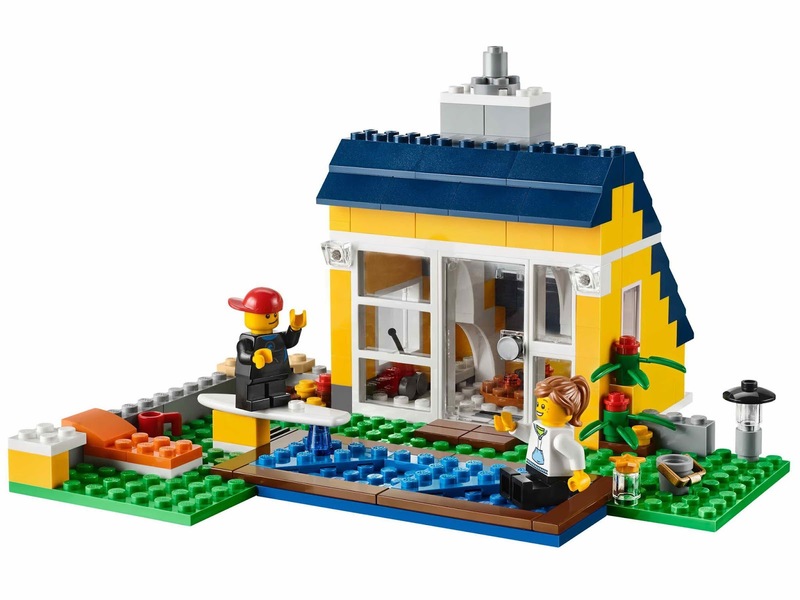 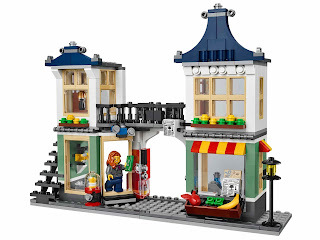 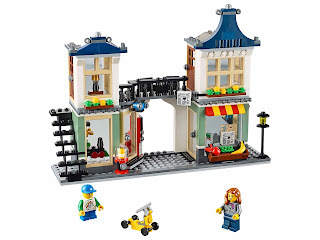 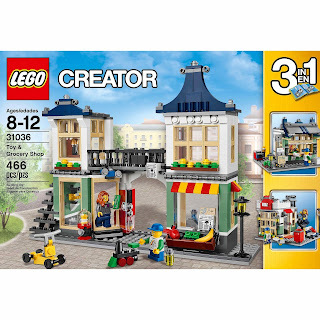 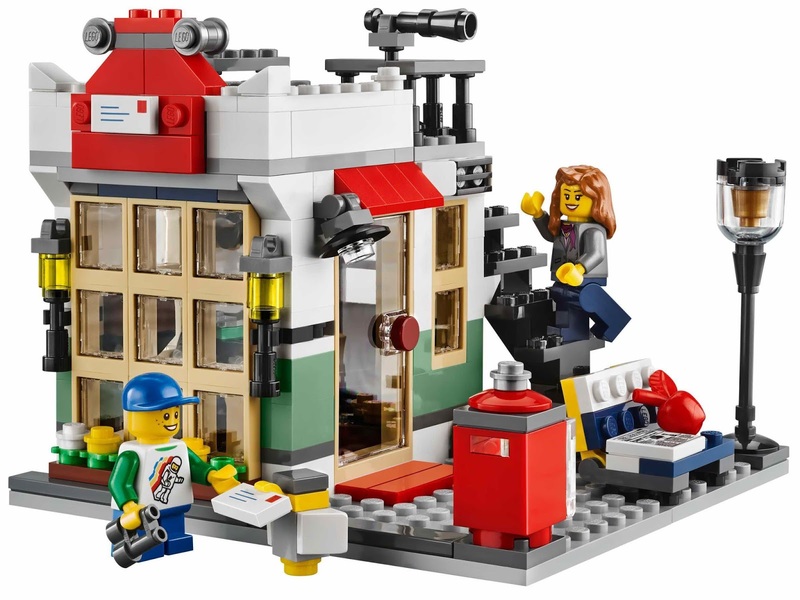 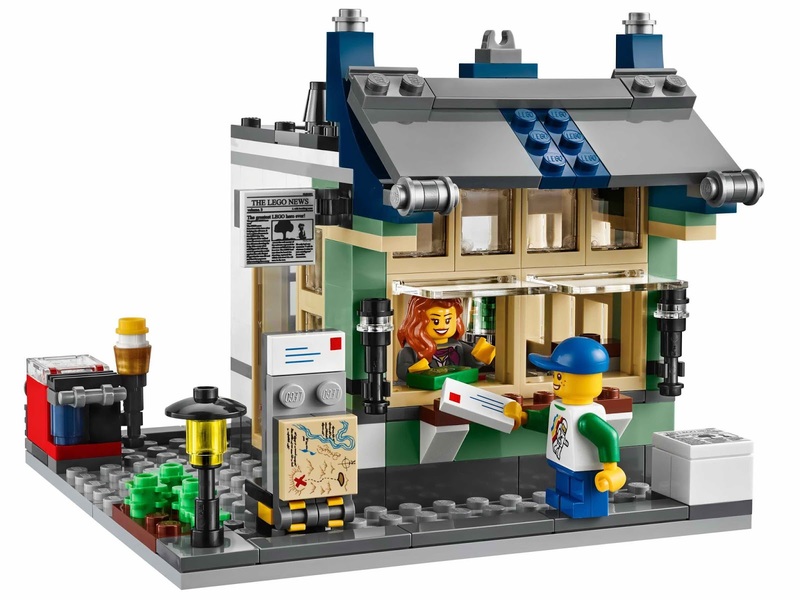 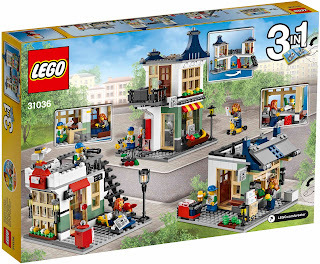 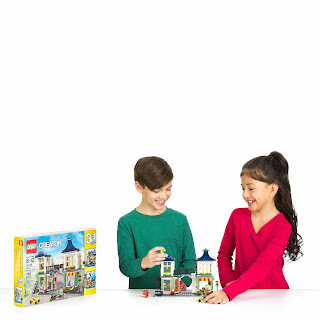 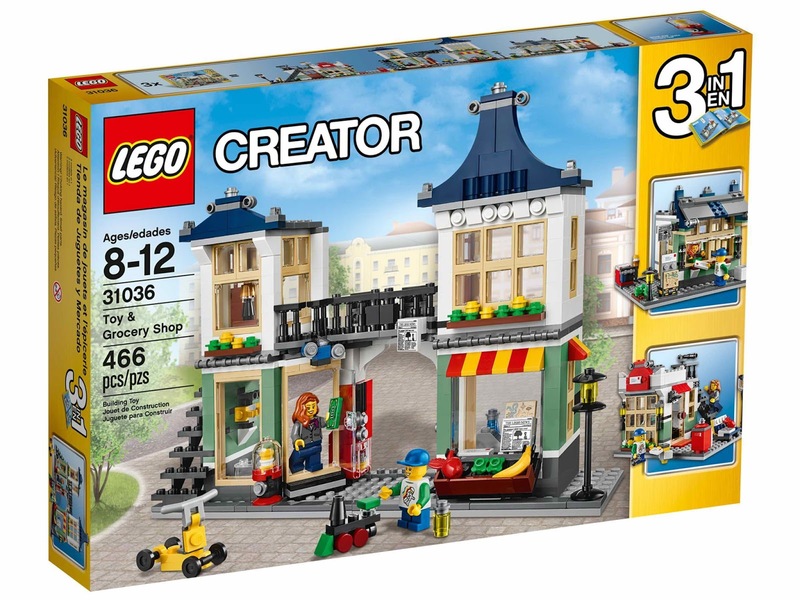 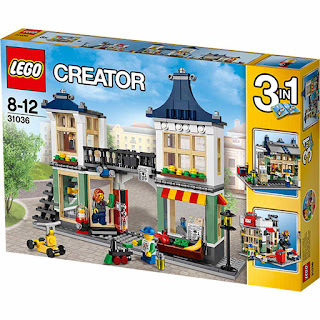 the shop has shop signs, a toy train, a toy robot, a vending machine, a bubblegum machine, a cash register, a money bill, bottled beverages, a newspaper, a map, a fruit and vegetable stand, a streetlamp, first floor with chest of drawers, a lamp and a bed.